Established in the year 1979, we, SGS Fabrication Works, are among the prominent manufacturers and suppliers of best quality Material Handling Equipment. The product range offered by us is inclusive of Material Handling Trolleys, Assembly Tables and Industrial Fabricated Products. Known for their high performance, low maintenance and longer functional, these materials handling products are highly demanded in warehousing units. By using advanced tools and equipment, these material handling products are manufactured by our technicians in compliance with the industry set norms. Customized solution and hassle-free modes of payment is offered, keeping in mind the convenience and budget constraint of our customers. Client centric approach and ethical business polices has helped us in winning the trust of our valuable customers in the most efficient manner. 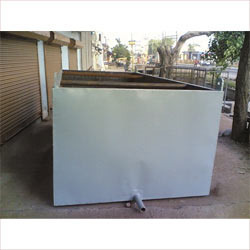 Used in various industrial applications for the purpose of movement and storage of various goods, these products are manufactured from quality assured materials.